In January St Anselms Primary School came to BETT show looking for ideas for the task of completely re-designing the schools ICT suite. They found Netcom’s stand. The enquiry was passed to our sales manager and a pre-sales consultation meeting was arranged and booked for that same week. 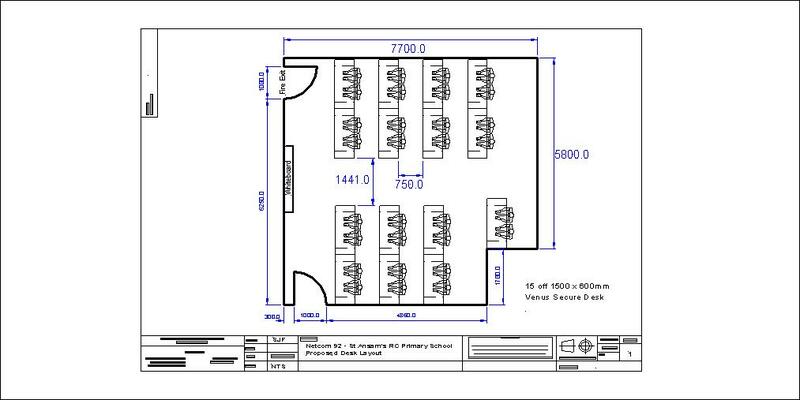 St Anselms needed to upgrade their ICT suite to accommodate an additional 16 workstations. The school needed to provide a suitable classroom for 30 pupils and a teacher. This meant the room would be increasing from 15 workstations to 31. To accommodate these extra machines the room needed a re-designed floor plan which would make the room functional but safe for everyone visiting and using the room. 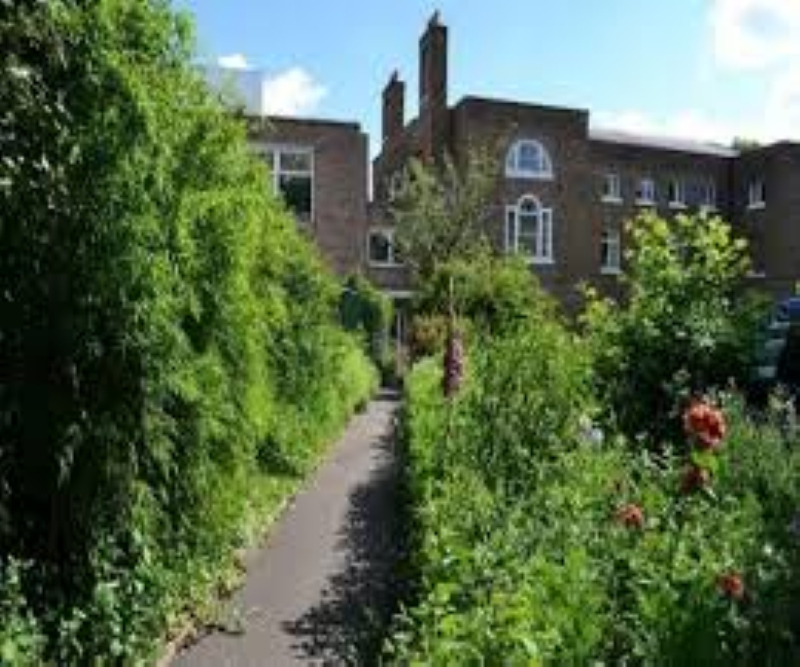 This meant new furniture would be needed as the room currently had benching which was very old and didn’t make full usage of the rooms teaching space. St Anselms was looking for a company who could take care of the entire project including product supply, installation and design. Rewire all electrics and bring up to current regulation standards. 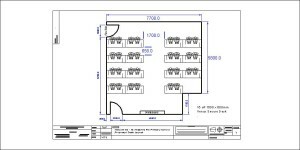 Netcom designed a floor plan using CAD software. The design included our secure ICT desks with full security features. Each workstation would have a made to measure PC enclosure situated under the desktop and a secure monitor arm mounted to the worktop. Netcom used double desks designed to seat two students per desk. The desks measured 1600mm wide x 600mm deep x 730mm high. We also included a teachers desk which had all the security features plus a set of draws mounted on the under side of the desk top. 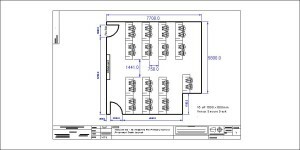 Once we had an agreed preferred floor plan we created a cabling plan for the Cat5e user outlets. Netcom would install 36 new data outlets situated around the room. We installed an outlet at each work station which was situated in our under desk cable containment. The 5 remaining outlets where placed along our bespoke work bench as they are to be used for printers, scanners and laptops. The cables were routed around the classroom through 3 compartment trunking system. This trunking prevents any tampering and also adds to the aesthetics of the room. Netcom would be providing and installing 31 new PC’s for the ICT suite. During our consultation meeting we discussed the specification the school required. The school opted for Dell optiplex machines with 19” monitors. These machines included Intel Pentium Dual core processors, 160GD hard drives and 2GB of memory. The machines would be installed into the security features at each workspace. The monitors were mounted to the secure monitor arms and the towers were situated in the PC enclosures mounted under the desktop. All the cables were connect to the data and power outlets within the under desk cable containment. Netcom then collected all the serial numbers and passed them to the school for asset tagging. St Anselms required a re-location of existing projector and screen in their ICT suite. 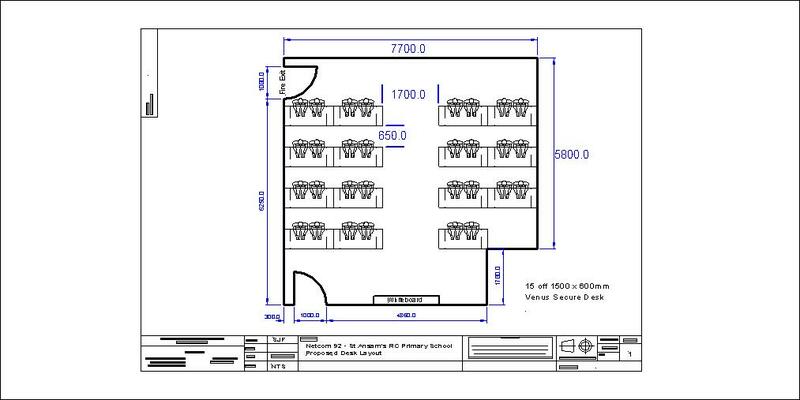 The placement of the projector was very important and we designed the floor plan around where it would be situated. St Anselms wants to offer ICT provisions to the pupils in every classroom. To offer this they need to have data provisions in every room. The requirement was to install 35 new Cat5e data outlets into the classroom in the school. Netcom would then connect these data outlets to remote wall cabinets. The wall cabinets are linked back to the main comms cabinet in the ICT suite.